A few years ago, I did a technical seminar at a continuing education event on a Saturday morning. Our customer, a water systems distributor, had organized it in order for the 200-plus water systems contractors in that room to obtain some much-needed continuing education credits. The guest speaker who followed me was an official from the state agency responsible for water well contractor licensing requirements. 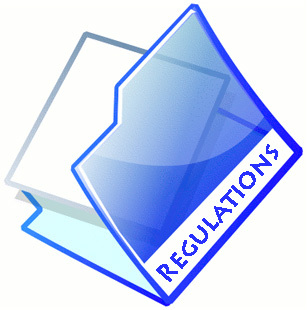 He furnished a thorough, albeit dry, review of the current regs and upcoming changes. At the end of his presentation, he asked if there were any questions. This contractor had a completely legitimate question and this was a classic case where knowing your audience and anticipating their questions would have gone a long way. A non-response, as occurred here, destroys your credibility. “I don’t know, but I will find out” is acceptable, by the way. Honesty and openness build credibility and ultimately earn customers, whether they’re contractors who need credits or homeowners who need water. The more straightforward you can be, the more willing you are to answer questions, the more likely you are to win someone’s trust. In the end, your business depends on that. This entry was posted in Business Tip and tagged license, Regulations by markreeder. Bookmark the permalink.